Bea is looking forward to starting school like she never has before. She's going into her senior year with a boyfriend and a good chance to win a coveted scholarship to M.I.T. She uses her extreme math skills to make a formula that is guaranteed to make her two best friends Spencer and Gabe popular rather than the target of bullies as they have always been up to now. Her formula works like a charm for her friends but Bea's own life is not going as well. Her boyfriend Jesse wants to be part of the popular group and very quickly dumps her for new girl Toile who is larger than life. Now Bea has to apply the formula to her own life to win Jesse back. 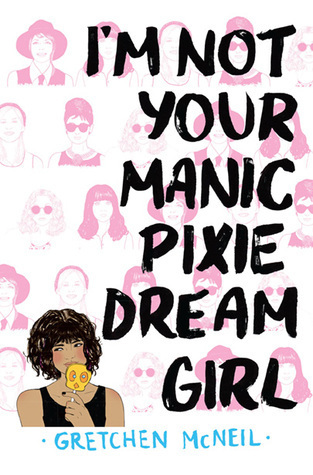 She turns herself into a manic pixie dream girl in order to beat Toile in the quirky department. This light book was just what I wanted at this point in my reading cycle. Of course Bea learns an important lesson and realizes that what she wanted was right in front of her the entire time, but that's exactly the point. The real fun is watching how successful the ridiculous archetype of femininity is on the population at school. Or maybe that's the extremely sad part of the book because it rings so true. A well-done romp that manages to sneak in some feminist thoughts along the way.